Sharing songs from one phone to another is very easy nowadays. All you need is using some software applications that will provide you fast sharing of songs and other material from one phone to another. However, when we talk about Apple Music, we can use some of its new features with iOS 11. We all know the Apple Music has more than 40 millions songs which is a huge number. With that amount of songs and music tracks, it is common to find a person with a better playlist. 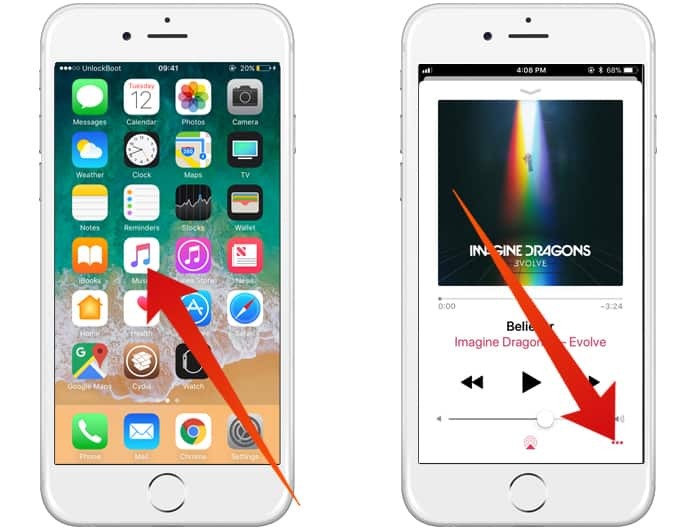 In this post, we will show you how to share Apple Music songs with AirDrop in iOS 11. Sometimes you need to share your songs with your friends, and sometimes you may need some songs from someone. It doesn’t matter which case we talk about, we would surely need some features to share music tracks. The previous versions of iOS 10 don’t support the AirDrop integration, and you can’t share your songs from Apple Music easily. Fortunately, we can share our songs using AirDrop on the new iOS 11. 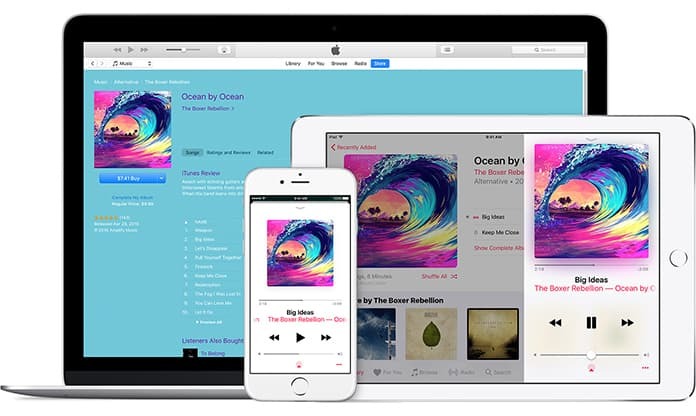 If you are a music lover and you send and receive songs on your iPhone frequently, we will tell you how to share Apple Music songs with AirDrop. The process of doing this job is straightforward. All you have to do is following the step by step procedure. 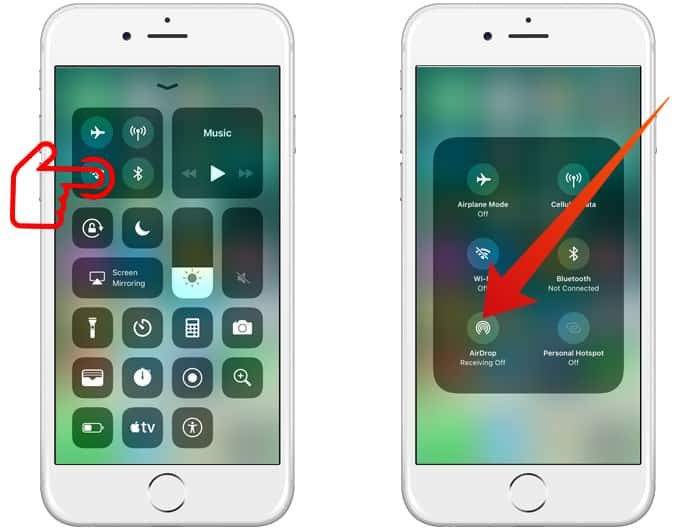 How to Enable AirDrop on iPhone? 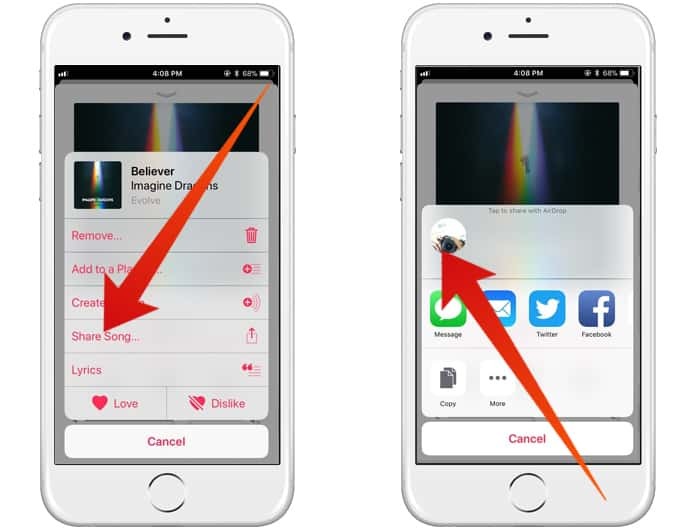 If you want to share Apple Music songs with AirDrop, you will have to enable AirDrop on your iPhone first. Here is how you can do this job. Step 1: On your iPhone screen, swipe up from bottom to open up the Control Center. Step 2: In the Control Center, long press or 3D touch the network panel which is located in the top left corner. Step 3: It will open all the network options including Wi-Fi and AirDrop. Step 4: Make sure to enable AirDrop by clicking on it. Step 5: You will also have to turn on Bluetooth and Wi-Fi. You are now all done! You are ready to share Apple songs from AirDrop right now. How to Transfer Songs Using AirDrop? 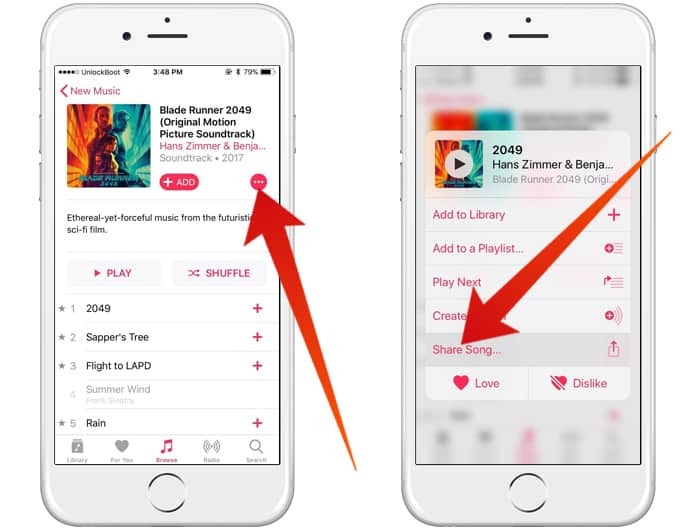 In your Apple Music app, you can share any song you want with your friends or family members. Simply follow the actions mentioned below to get started. Step 1: Open your Apple Music app and open the song which you are playing right now. Step 2: In the ground right corner, you will see three vertical dots. Click on them to open further options. Step 3: Now you will see a list including different options. Click on Share Song button, and it will open a new small screen. Step 4: You can now share songs from this panel by just tapping on the person’s profile. Step 5: Oppositely, if you are not listening to a song which you want to share, you can do it too. Step 6: Simply 3D touch or long press that song and a list of options will appear. Step 7: Now just tap on Share Song button and follow the above process. If you are having problems while sharing your songs, consider turning AirDrop off and on. Also make sure you have turned on AirDrop, Wi-Fi, and Bluetooth from the Control Center.